Our traditional company located on the banks of the Waldaist in Pregarten was first mentioned in 1476. Today, Andreas und Eva Pfahnl are the 18th generation to successfully run the company. 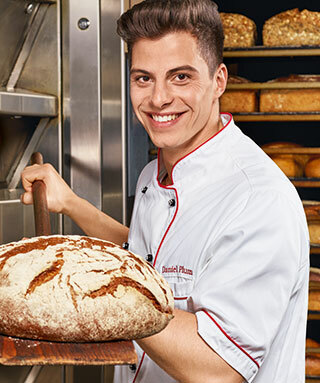 Nine international subsidiaries and bakery competence centres, export activities in more than 40 countries, investment in food safety and new technologies, and annual sales equivalent to about 170,000 tons of flour and baking ingredients speak for the Mühlviertler flour and baking ingredients producer.